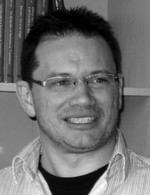 Luc van Doorslaer is professor of Translation Studies and Journalism Studies, KU Leuven, Belgium, and research associate at Stellenbosch University, South Africa. He is also Director of CETRA, Centre for Translation Studies, and head of the Subdivision 1, Campuses Carolus and Sint-Andries Antwerp. He serves as member (as senior academic staff) of the Council of the Faculty of Arts, University of Leuven, member (as senior academic staff) of KU Leuven, campussen Antwerpen, De Nayer en Geel: Raad AcademischeOpleidingen, and member (as senior academic staff) of the Council of the Subfaculty of Arts, Campus Antwerpen. He is now vice-president of European Society for Translation Studies.